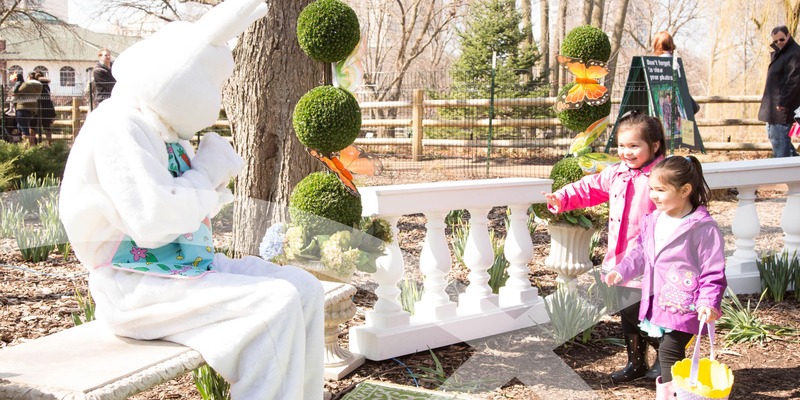 Hop on over to Lincoln Park Zoo for our Easter Egg-stravaganza celebration from 8am-12:30pm! Join us for an egg hunt, photos with the Easter Bunny, music, crafts and animal viewing. Complimentary rides on the carousel and the Lionel Train Adventure until 1pm for our egg-cellent guests (weather permitting)! All egg hunt waves for ages 3 and under have sold out. You are welcome to register your child(ren) for the ages 4 and older egg hunt wave times. Limited tickets remain for this event. We highly recommend purchasing your tickets right away! Egg hunt zones will be broken up into two categories: ages 3 and under & 4 and up. Families will be assigned an egg hunt zone based on the age of their oldest child. Lincoln Park Zoo will provide approximately 15 eggs for each child. Please be respectful of other participants when hunting! Guests are encouraged to bring their own Easter egg baskets. Easter totes will be provided to those in need while supplies last. Spaces are limited per wave. Register today to reserve your place! DJ, dancing, activities, and crafts. Photos with the Easter Bunny. Printed pictures available for purchase. Guests are encouraged to explore Lincoln Park Zoo to enjoy complimentary rides on the Lionel Train Adventure and the Carousel until 1pm! Breakfast and beverages available for purchase at Park Place Cafe. Mimosas and bloody marys available for purchase at cash bar. Please note that breakfast is not included in your ticket purchase however, Park Place Cafe will be open and available for breakfast and lunch for purchase. Prices vary. VIP TICKETS HAVE SOLD OUT FOR THIS EVENT. Yes. Tickets will be scanned at the registration table by print-out or on your phone. Tickets are non-refundable. This is a rain or shine event.